Below you can view all the homes for sale in the Fairways At Towne Lake subdivision located in Woodstock Georgia. Listings in Fairways At Towne Lake are updated daily from data we receive from the Atlanta multiple listing service. To learn more about any of these homes or to receive custom notifications when a new property is listed for sale in Fairways At Towne Lake, give us a call at 404-998-4112. Renovated Second Bath On Upper Level, Full Finished Basement W/Full Bath, Bedroom, Media & Rec Room & Wet Bar. Large Deck & Patio. MLS#6517999. Harry Norman Realtors. 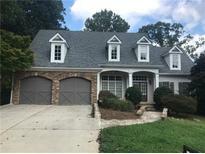 Tray Ceilings, Plantation Shutters, Full Finished Basement With An Office, And Surround Sound.Great Schools. Bascomb MLS#6506103. Keller Williams Realty Atl North. Lavish Backyard Pool Is Ready To Go As Soon As Summer Sets In! MLS#6127725. Keller Williams Realty Partners. This Home Has Everything Your Buyer Is Looking For. MLS#6071835. Rcm National Realty.